As well as always having a tube of hand cream in my bag, another staple is anti bacterial hand gel. Very useful if you cannot get to a basin when out and about! 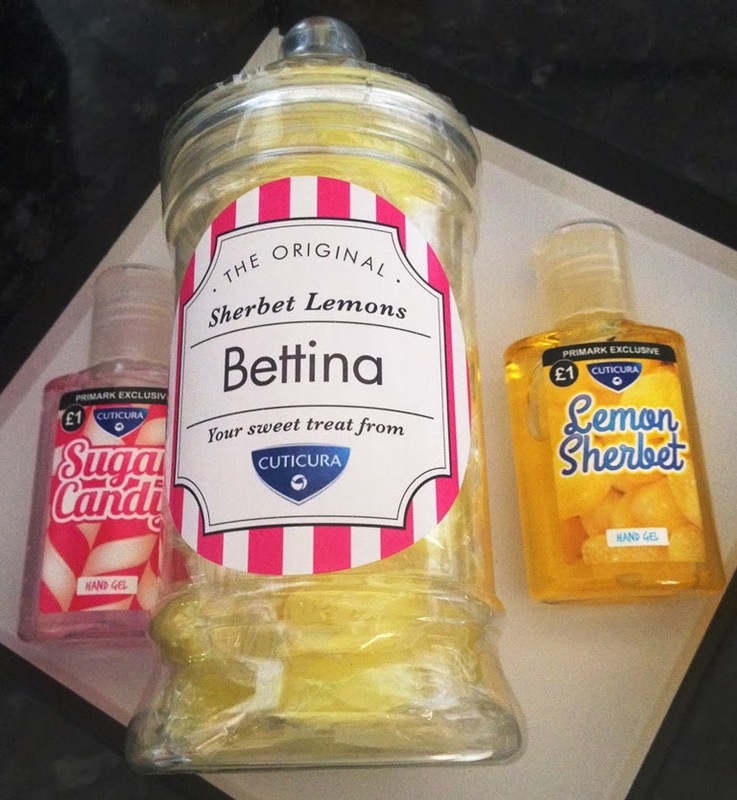 Cuticura have just released two sweetie inspired anti bacterial hand gels exclusive to Primark - Sugar Candy and Lemon Sherbet and at just £1 for a 50ml bottle a bit of a bargain..Bright and fun packaging, they will be easy to spot in the handbag. Starts with the familiar smell of alcohol but dries to a pleasant sweet blend of juicy pink grapefruit, vanilla and sugared violets. Citrus and zesty lemon softened with sugared vanilla. A nice, fun twist on hand gels and they smell good!